Miss Universe 2017, the 66th edition of the Miss Universe beauty pageant, will air live from The AXIS at Planet Hollywood in Las Vegas, Nevada on Sunday, November 26, 2017. 92 beautiful contestants from around the world will compete for the Miss Universe title. Miss Universe 2016 Iris Mittenaere of France will crown her successor at the end of the event. Where to watch the Miss Universe 2017 Pageant? The Miss Universe 2017 finals night will be broadcast live on Fox and Azteca TV channels. 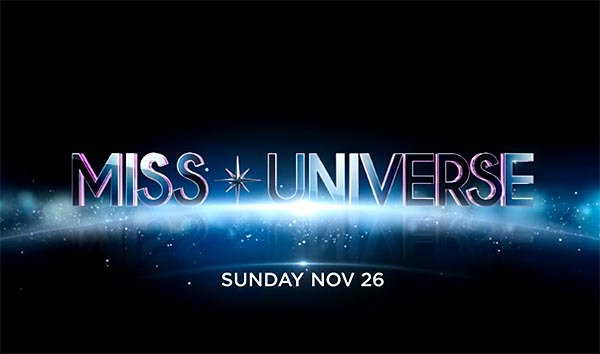 The event is also available to watch online via the Miss Universe official website and live streaming channel on YouTube. Hosted by Steve Harvey and Ashley Graham with special performances from Fergie and Rachel Platten. Rachel Peters will represent the Philippines in the competition. Watch the Miss Universe 2017 live coverage below. Live video and other online sources will be added on this page on or before the Miss Universe pageant on Nov 26.
Who will be crowned? Write you predictions on the discussion box below. Share and Save this link now!